Oswestry is one of the UK’s oldest border settlements and is the largest market town and civil parish in Shropshire, England, close to the Welsh border. There are so many places to visit and wonderful things to see in and around the surrounding area. From shopping in Chester to a wonderful day out a Llanrhaedr Waterfall, there really is something for all the family. Wednesday Friday or Saturday – Visit Oswestry’s famous Indoor and Outdoor Street Markets offering a range of merchandise including fresh produce. After you have shopped until you drop, pop in to Wetherspoon’s and enjoy a spot of lunch. To walk off that lunch, take a stroll to Oswestry Hillfort. This is one of Britain’s most spectacular and impressive early Iron Age hill forts. Park Hall Countryside Experience – Situated only a mile away from our Pods, Park Hall Farm offers a wonderful countryside experience for the Children. They can interact with the animals as well as participate in a Tractor ride. Head back to Oswestry for lunch at Table Table. Why not end the day with a spot of Swimming at Oswestry Leisure Centre, or for younger children, Crazy Knights Indoor ball play centre. Chirk Castle – Enjoy a day exploring the National Trust site of Chirk Castle that was built in 1295. As well as visiting the Dungeons and exploring the Adams Tower, you can take a pleasant stroll around the 5.5 acres of beautiful gardens. There are also lots of different Trails to walk amongst the 480 acres of parkland within the Chirk Castle Estate. Refreshments available at the Tea rooms. This day out is one not to be missed. Llangollen – Only a 20 minute drive and you will find the pretty town of Llangollen, situated on the River Dee and on the edge of the Berwyn mountains. Llangollen hosts a range of gift shops, restaurants, steam trains, horse pulled barges and of course takes advantage of being on the River Dee with its range of Water sport’s. There are several Adventure centres to choose from where you can participate in White water Rafting, Gorge Walking, Rock climbing, Abseiling as well as canoeing and Kayaking. If you have little ones in your party, why not take them to visit Thomas the Tank Engine. Chester – Chester is probably the richest city in Britain for archaeological and architectural treasures with preserved features from the Roman Times. It is well worth a visit just to take in the wonders of this beautiful City. Chester hosts an amazing selection of shops and restaurants making it an ideal location for a day of shopping. Chester is only a 30 minute train ride from Gobowen. 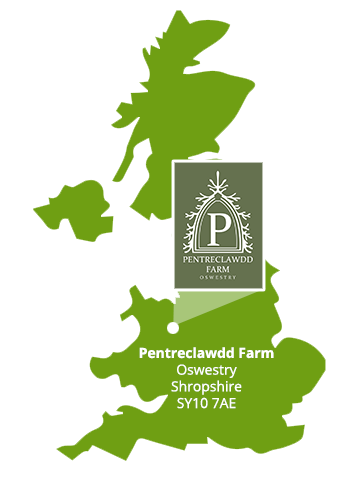 The station is within walking distance from Pentreclawdd Farm. Over 200 Trade Stands, 100+ Show Vehicles on Display, loads of great entertainment and thousands of visitors attending each year. Oswestry Show is a 1 day event being held on 3rd August 2019 at the Oswestry Showground in Oswestry, UK. This event showcases products like agriculture, educational, handmade crafts and baked goods, farming equipment , tructor, extraordinary food etc. in the Agriculture & Forestry, Horticulture & Floriculture industries. Eating in the Pods – Fancy a Takeaway?